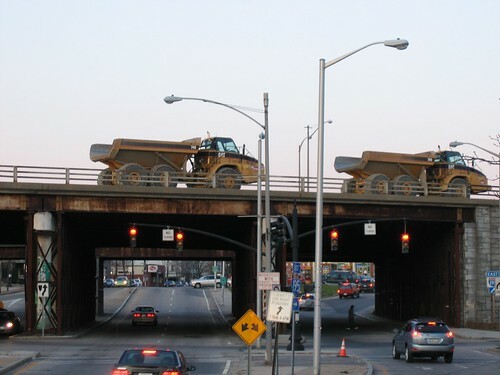 RIDOT announced today that the old Route 195 bridge over Wickenden Street will begin being dismantled Sunday (01/10) evening. RIDOT expects this work will take approximately one week to complete, with lane restrictions in place Sunday through Thursday nights from 8 p.m. to 5 a.m. Additional work may be needed the following week, however, RIDOT expects that will take place during the daytime and not require any lane closures. As always, RIDOT points out this work will be weather dependent. The contracts to demolish the rest of old Route 195 and to rebuild the Wickenden Street intersection have yet to be awarded. This demolition work is not part of the more extensive demolition contract that RIDOT will advertise and award this spring that will raze the majority of the old I-195 highway. RIDOT also will make further improvements to the intersections of Wickenden Street and Benefit Street and Wickenden Street and South Main Street under a separate contract. I can’t wait for the new views to open up when they start taking the old leg of 195 down. Imagine looking across Point street past the bridge over to the East Side without that ugly highway blocking your view. So the demolition begins! It will indeed be neat to see that new view. And since spring and summer are coming, not to reveal or encourage anything illegal, I can’t resist passing on a suggestion from the brother of someone I know whose third cousin claims that the most entertaining walk in Providence these days is across the dead I-195 bridge. My informant says that he’s rarely if ever seen any workmen other than an occasional fuel deliverer there after 3. And the downtown, river and power plant(s) views are unique. The story goes that one walks up the blocked off westbound on-ramp from Wickenden — or if you prefer, the wrong way up the old eastbound exit onto Point St. — and heads across the bridge, on the eastbound side to go down the Eddy street exit, or, for the full 50-cent tour, continues up the former eastbound side, past the dirt piles to exit onto Clifford St.
A great bike ride, too. But don’t say I told you. I would never encourage anyone to climb up on the old 195, but if someone were to do so, and someone were to take photos, and someone were to send me said photos, I’d probably be compelled to post them. RIDOT will be starting work on bridge demolition each evening at 6:30pm rather than 8pm to allow more time to get the noisiest parts of the work wrapped up before midnight each evening.